We're a family-run business, with a national mindset and mission. The sole focus of our business is to protect people and property by helping our clients to be safe at work, and to be compliant with health and safety regulations. 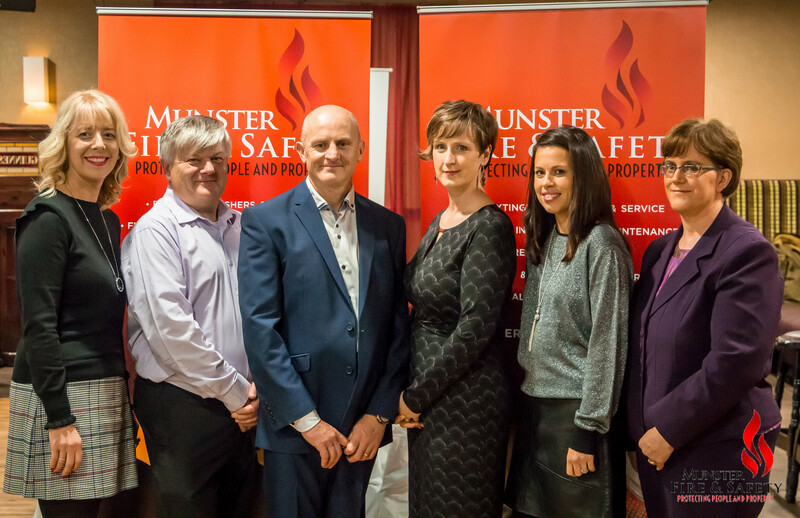 Situated in Millstreet, Co. Cork, we have served customers nationwide for 15 years, catering for both their fire and safety needs. we also serve a number of self-employed individuals across the region with their safety requirements. Not only do we take great pride in our personal and efficient service but, in order to keep supplying our customers with the best products and service, we strive to continually upskill and train our team. Our service engineers are BAFE (British Approvals for Fire Equipment) and JOIFF certified to ensure all our fire service customers are fully protected. We are authorised dealers for Snickers Workwear, Mascot Workwear and Dike as well as other workwear brands. We stock a wide range of safety footwear and safety products from helmets and glasses, to gloves and disposables. We also enable businesses to create a professional image for your business through our printing and embroidery service. Any of our products can be delivered anywhere in Ireland, or you can opt to collect at our store in Millstreet.